Christchurch bed and breakfast accommodation, New Zealand. Two guest suites available with a sumptuous breakfast in the morning. NB: The Aphrodite is strictly non-smoking. The Aphrodite Suite is a spacious honeymoon suite located on the ground floor of the Aphrodite. Enjoying lovely garden views, the suite includes a super-king-size bed and ensuite. Lovely French doors open to your own private terrace. The Aphrodite Suite is ideal for special romantic getaways, honeymoons or any other special occasion. Say "I Love You" with a romantic package at the Aphrodite, enhanced with flowers, petals, chocolate, fine wines and great dining options. Aphrodite is the Greek goddess of love, beauty and eternal youth. Aphrodite was the most attractive goddess of Mount Olympus...In addition, she was connected with the death/rebirth of nature and human beings. According to a myth, Aphrodite gave birth to Eros, the winged cupid of love and was often accompanied by him. Other children of Aphrodite were Hemeros, Pothos, Phobos, Demos, Harmonia and Rhodes. 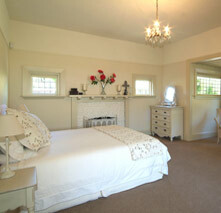 The Apollo Suite is located upstairs and also enjoys lovely garden views. The suite includes a super-king-size bed and a private guest bathroom. Apollo is the youthful Greek god of the sun, light, music and prophecy. Apollo was born by the King of the Gods Zeus and the mortal Leto in the divine Greek island of Delos. He was the younger twin of Artemis, the goddess of the hunt. Apollo was a handsome, strong and youthful god with impressive golden hair. 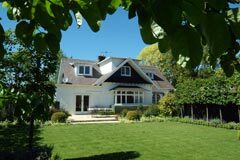 Christchurch bed and breakfast accommodation combines warm, comfortable accommodation with genuine Kiwi hospitality. 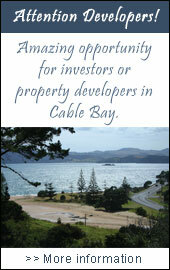 B&B accommodation is much more than just a room. At our B and B in Christchurch you will experience not only a sumptuous morning feast, but extremely comfortable bedrooms that you won't want to leave! Aphrodite Boutique Accommodation includes breakfast in the B&B tarrif. Your bed and breakfast host can help organise and recommend activities, restaurants, entertainment, guided tours of the local area and much more. Bed and breakfasting is an excellent choice for couples, single travellers or very small groups. B&B's offer an intimate and relaxed stay, so take the time to enjoy your host, our home and our gardens.